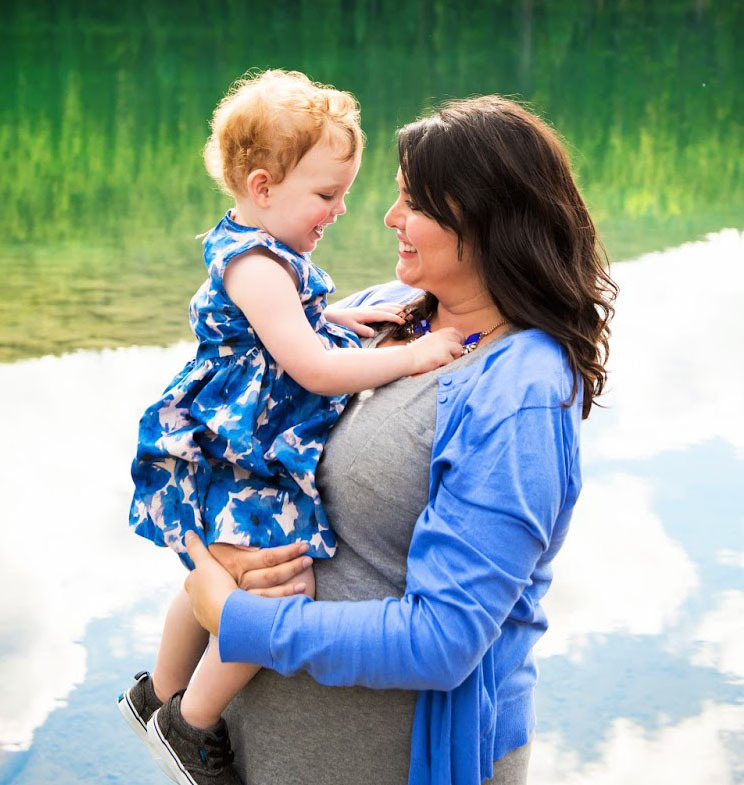 This has kind of been a hectic work week for both of us (...not that we're complaining!) but I'm hoping to post some project pictures by next week. Expect to see some new drapes and a storage solution for our front hall. We're still psyching ourselves up to tackle the living room and some new bedroom lighting in the next couple of weeks. I'm dying to paint! For now, I thought I'd just leave you with some eye candy in the form of fabulous and unique wallpaper! 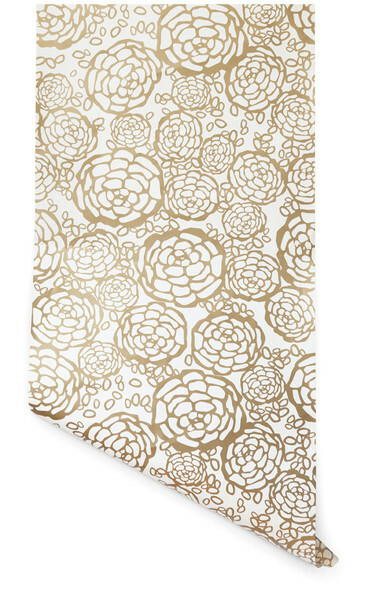 I'm seeing so much wallpaper in home design and I'm wondering if we should add a touch to our home. Which is your favourite? I'm thinking of an accent wall in the bedroom. 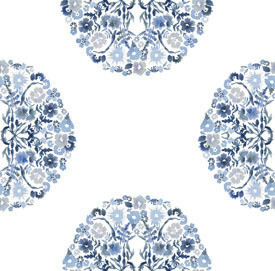 I adore this cheerful floral pattern from Abigail Borg. I love how it blends modern and vintage. 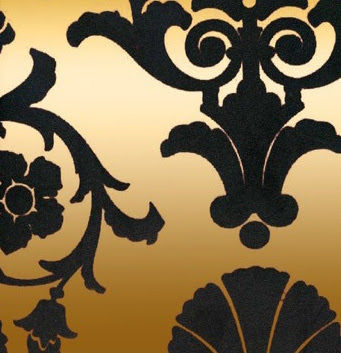 This textural black on the gilded gold from DesignYourWall.com looks like it would be very luxurious in a bedroom. I think it would compliment our tufted headboard. 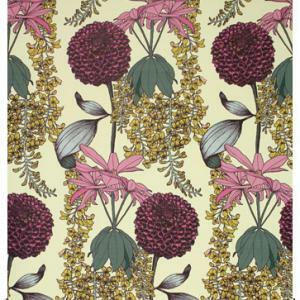 If the last sample was "too much" gold, this pretty floral from Hygge and West may be a nice compromise. I love the chic vintage vibe I get from this Kreme Life pattern. So simple, yet still elegant. 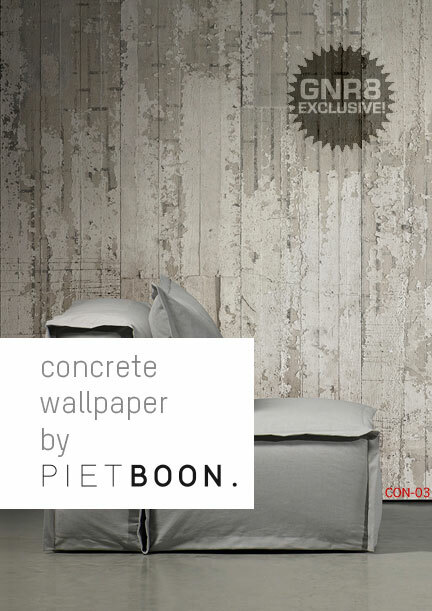 Generate Design offers this funky concrete style paper. I love it in theory and may have tried it in the condo but I don't think it would work in this home. GetItCut.com had this great picture of luxurious damask paper behind a tub. I'm not sure how practical this is so close to a tub, but it's giving me ideas for when we can afford to renovate our bathroom. 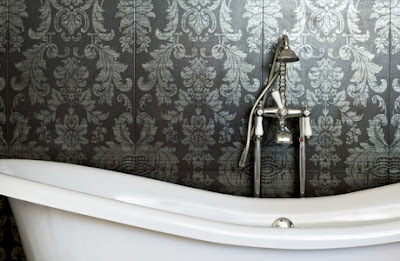 I love this picture of textural wallpaper from HomeKlondike.com. I'm not sure of the source but I love that it creates (quite literally) a new dimension on a classic white wall. 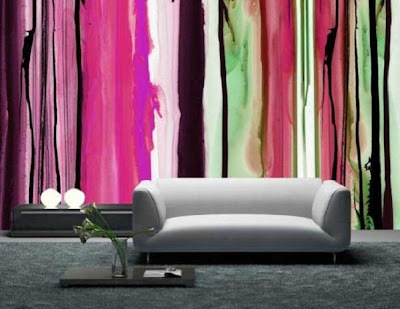 I have always loved the idea of wallpaper that actually looks more like art, than background decor. I saw this bold pattern on QuakerRose.com and I love the idea of hanging a large, bold painting against it and making them compete. I haven't asked... but it's fair to assume that Corey would give this idea a big fat veto! I Can't Kill An Air Plant... Right? You Can Never Have Too Much (Affordable) Art! Getting our DUCTS in a Row.